The vape industry has seen its fair share of turbulence this year. The FDA has swung their “golden gavel” proclaiming that this industry deserves the same scrutiny as the tobacco industry. Granted this is a sensitive subject that will be highly contested amongst some of the highest legal arenas in the United States; it definitively places anything vape related into the high risk merchant services category. Vapor merchants need to keep taking payments while they fight the good fight to keep this multi-billion-dollar industry alive and well. So how can vapor merchants get the most out of their merchant account? Let’s discuss it. Discount rates have already dropped significantly over the past year or so. So as long as you are working with a reliable merchant services provider known for boarding vape merchants you shouldn’t have an issue with rates. 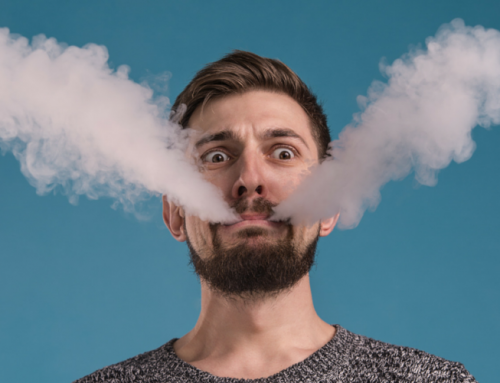 So how do you get more out of a retail vapor merchant account? Negotiate the cost of your terminal or point of sale equipment. Every little bit helps and some of this equipment can be expensive. If you have processing history, you can use it as leverage in order to get reduced cost or possibly free hardware. In general, any merchant that has processing history can use it as leverage; however, the higher your monthly volume the greater the chance of you getting the most out of the merchant service provider. You can also try to negotiate for a free or reduced cost payment gateway, monthly or annual fees, and cancellation fees as well as reducing or eliminating the length of contract. Selling vape products online comes with different concerns as you move into the card-not-present business types. Like retail vape merchants, you can leverage existing processing volume to get more out of your payment processor. However, you don’t need hardware so what else can you get? Some merchant service providers offer a free shopping cart. Others will offer a free gateway. What you really need is merchant service provider that has their finger on the pulse of the market. They need to be at the forefront of the fight against FDA regulations. This fight shouldn’t be in a court of law. It should be ahead of the curb that allows you to process payments seamlessly by making sure you are compliant with standards. For example, with the onset of new regulations age verification now needs to be more advanced than the standard birthdate or confirm-your-age provision. 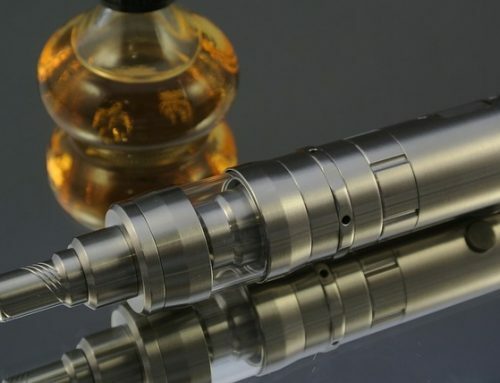 A reliable merchant service provider that truly has a vested interest in the vape industry will provide this and other services as they become a necessity and will not wait until it’s too late to react to these needs. Selling vape merchandise wholesale is no different than any other product wholesaler. So what you need here is a MOTO merchant account that gives you the ability to take payments over the phone and process them through a virtual terminal. Virtual terminals are simply a payment gateway that you sign into over the internet and manually key-in the transaction. This type of merchant account requires that you take specific steps, get specific information, and specific documents such as a payment authorization form. Your merchant service provider can help you to set-up or possibly provide you with those documents you need to have your customers complete. After reading this you might say to yourself that you don’t need this because you have a swipe terminal and you can key your transactions into that swipe terminal. This makes sense; however, it’s wrong and it can flag a transaction or worse have your account shut down. Why? Because your swipe terminal is more than likely tied to a retail merchant account. Most retail merchant accounts down allow for more than twenty percent (20%) of their transactions to be manually keyed-in. So you can only key-in two (2) transactions for every eight (8) swiped transactions. Not to mention that your cost for keying-in a transaction on a retail swipe terminal is probably through the roof because they view this as a forced transaction and the highest applicable rates are applied. This is the reason third party processors like Square or PayPal specifically charge excessively high rates and fees for keyed transactions. Vape merchants need a high risk payment processor that caters to their needs. Sure low rates and free equipment is enough to entice any merchant, but vape merchants need more than that. Some also need check processing or ACH processing. Others might need a merchant cash advance or another special service that vape merchants don’t have easy access to or even realize they need. You’ll get that kind of attention at Painless Processing. We’re a leader in merchant services to the vape industry. Find out how what makes us an industry leading merchant service provider that makes payment processing for vape merchants so easy… it’s Painless. Electronic Cigarettes: Is Their Future Up In Vape? Business Funding Made Easy! Painless Merchant Cash Advances. Merchant Services Made Simple. Made Easy. For Payment Processing, there’s Painless Processing. Call Today or Apply Online. Copyright 2012 - 2018 Painless Processing | All Rights Reserved.